Signed Arizona Coyotes Jersey Raffle, Drawing February 23rd! 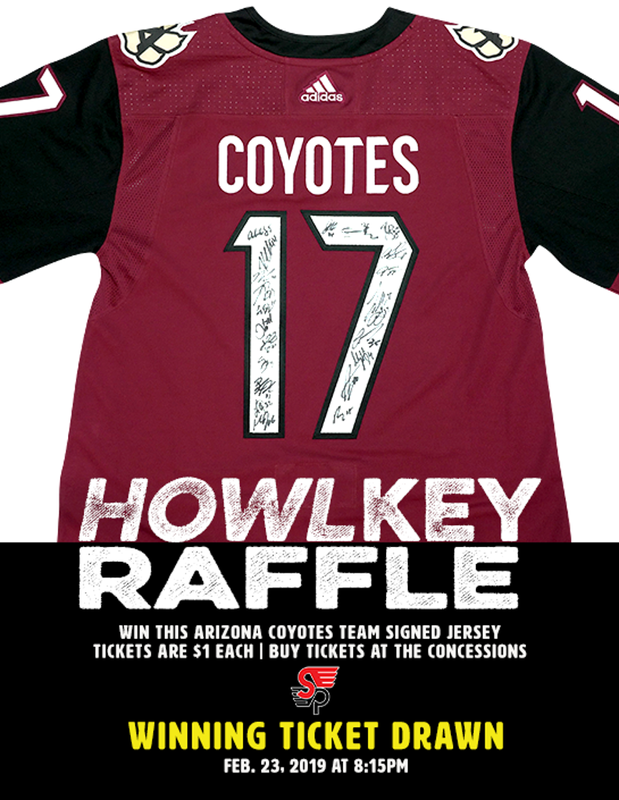 Win an Arizona Coyote's team signed jersey! Tickets are $1 each and can be purchased at concessions. The winning ticket will be drawn on February 23, 2019 at 8:15pm.